I would say most people know about the maximum withdrawal amounts that PayPal has but they also set minimum withdrawal amounts too and the company doesn’t want you to know why they have them set so high, at least that is my experience. Asking why they have set these amounts so high has made me realise their customer service isn’t so great. I bought a subscription on behalf of a client which came to CAD$12, the client paid me back via PayPal. So, I then attempted to withdraw that money to my bank account but received an error message stating I had exceeded the limits, didn’t mention “minimum”, but had to figure it out by groping around their system. I reached out to the company to find out why they have the minimum withdrawal amounts, why they are so high and why it differs greatly from country to country (ie GBP£6 in the UK, CAD$15 in Canada). Email 2: replied with a lot of copy/paste messaging about irrelevant stuff I already knew but did say the minimum amount related to “integrity of our system”, didn’t know what that was supposed to mean, not really an answer. Email 3: again didn’t answer my question and told me to phone in, however, given that most staff don’t know there is even a minimum withdrawal amount I thought this would be a futile effort and there is no reason why they can’t tell me over email. There could be a perfectly legitimate reason why they have set this amount, even though the majority of PayPal’s competitors have set it at $1, but I can’t get that answer from the company, or more likely they don’t want to tell customers. It actually takes 10+ days to transfer money into PayPal Canada in order for me to withdraw the $15 out, which is a nightmare really. Other platforms have faster “deposit from bank account” process. If PayPal customer service cannot answer this simple question how are they going to perform at other, probably more important, questions? PayPal might be a great company with a good product and hard dedicated workers but these frustrating issues override any worthwhile things they might want to achieve. 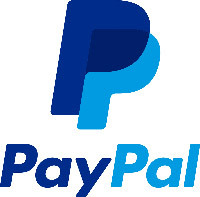 There are many other companies that provide similar services to PayPal so it’s worth looking around for one that meets your needs. Any transactions you may want to withdraw quickly into your bank account are over the minimum withdrawal limit, the platform is not good for small amounts (as is often advertised). You don’t have to deal with customer service as they don’t appear to be particularly helpful in resolving matters.